What a great little place for bargains! Yesterday was my first time to shop in the Target Dollar Spot and they have some really cool stuff there. I fell in love with these little mini fact books. There were several different ones and I chose the books on horses, dogs and dinosaurs. I figured they would appeal to most kids. The spiral bound books are about 4" by 5". The cover and pages are thick, heavy paper with a shiny coating so they'll be very durable in a reading center. Each page has a full color photograph with lots of interesting facts. Now, what can you do with these mini-books??? 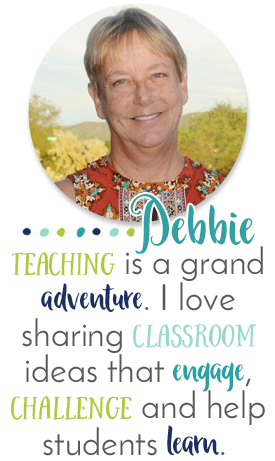 I think they'd be perfect to set in a reading center with a few questions for kids to answer and cite their evidence. As an example I wrote a few questions for one of the pages from the dog book. I chose the chihuahuas because I have one of these little cuties! 2. Why is Ducky so special? 3. How long does a chihuahua usually live? 4. 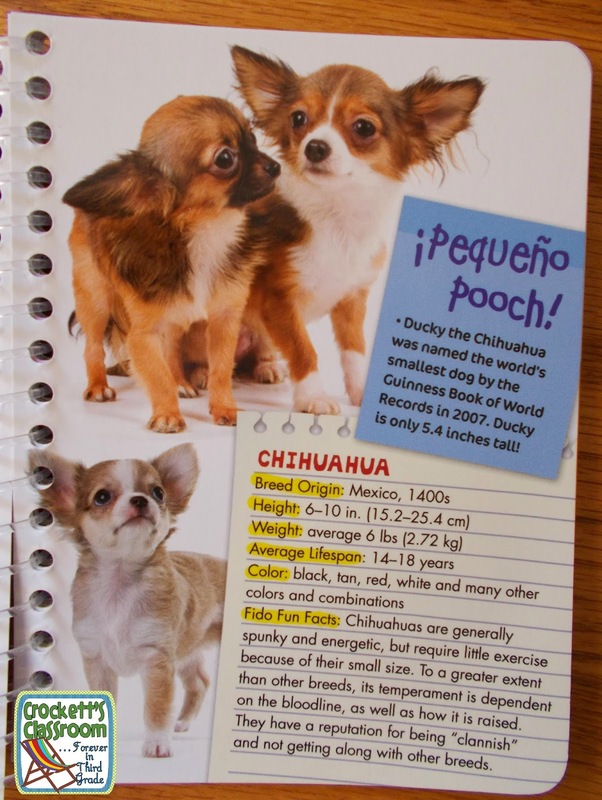 Why would it be unusual to have a chihuahua that weighed 4 pounds? 5. What does it mean to be clannish? 6. From where did the breed originate? 7. Why do you think chihuahuas do not get along with other breeds of dogs? 8. If you got a chihuahua puppy when you were 10 years old do you think you'd still have the dog when you turned 16? Why? List 5 dogs in order of their average size from smallest to largest. Name 3 dog breeds from Germany. Which breed used to catch mice in textile mills? Which president had a pet bulldog? Which dog do you think would make the best family pet? Why? 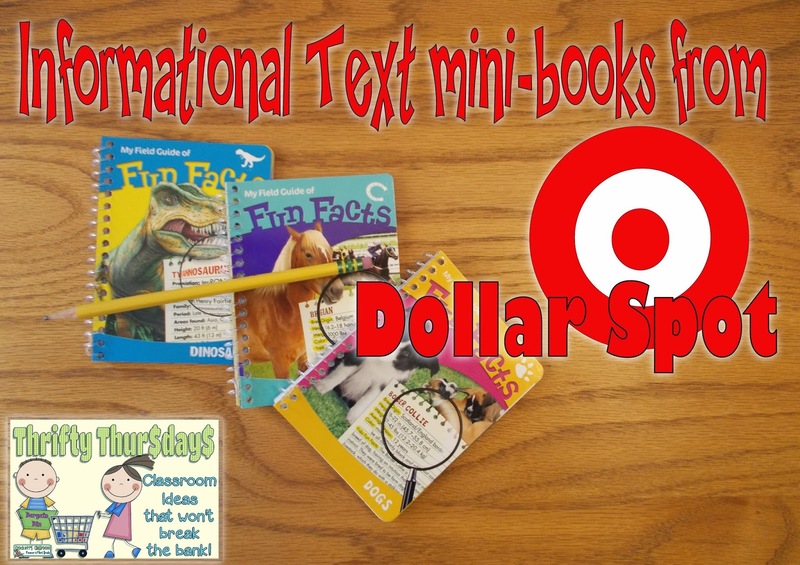 How would you use these Fun Facts books from the Target Dollar Spot? If you have a thrifty idea to share, you add a link to your blog post in the link up below.